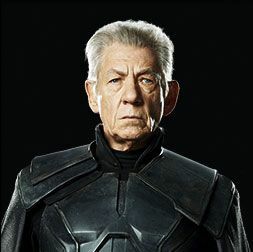 X-Men: Days of Future Past - Posters. . Wallpaper and background images in the X-Men: Days of Future Past club tagged: x-men days of future past character posters xavier magneto beast bishop. This X-Men: Days of Future Past photo contains peitoral, égide, egis, and égida. There might also be placa de armadura, blindagem, armadura, armadura de placa, blindagem de armadura, brigandine, surcoat, and sobretudo.